CORONA DEL MAR, CALIF. – (RealEstateRama) — Hanley Investment Group Real Estate Advisors, a nationally-recognized real estate brokerage and advisory firm specializing in retail property sales, announced today that President Ed Hanley and Senior Vice President Kevin Fryman completed the sale of Ukiah Crossroads, a 98%-occupied, 106,460-square-foot grocery-anchored shopping center located in Mendocino County, Calif. The purchase price was $15.1 million. Built in 1986 on 9.78 acres, and remodeled in 2012, Ukiah Crossroads is located at 1307-1399 North State Street and 180-200 Ford Road in Ukiah. The grocery-anchored shopping center is anchored by a 61,046-square-foot Raley’s supermarket and includes tenants Dollar Tree, O’Reilly Auto Parts, Rue 21, Rent-A-Center, U.S. Cellular and Advance America. The purchase also included a developable 1.39-acre freeway-visible pad. According to Hanley, Ukiah Crossroads benefits from its freeway visible location at the on/off ramp of the 101 Freeway along State Street, the main thoroughfare in Ukiah. Additionally, due to the lack of shopping options in the surrounding cities in Mendocino and Lake counties, which has a combined population of 113,000 people, Ukiah draws customers from a larger trade area than a traditional grocery-anchored center. 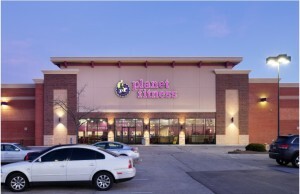 Hanley Investment Group Real Estate Advisors, a nationally-recognized real estate brokerage and advisory firm specializing in retail property sales, has completed the sale of a recently renovated 44,864-square-foot single-tenant retail property occupied by Planet Fitness. Hanley Investment Group Real Estate Advisors, a nationally-recognized real estate brokerage and advisory firm specializing in retail property sales, announced today that the firm has completed the sale of two brand-new construction single-tenant corporate Starbucks in separate transactions in Southern California.